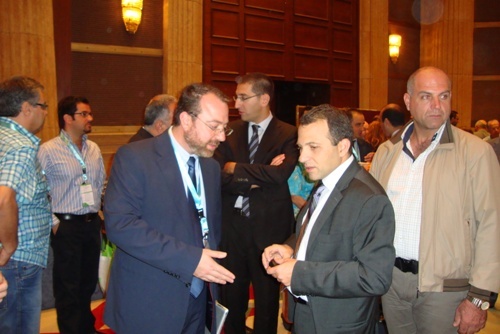 Phoenix Energy, renewable energy solutions supplier, meets with Lebanese Minister of Energy and Water to discuss eco-friendly heating solutions at Beirut Energy Forum 2012. 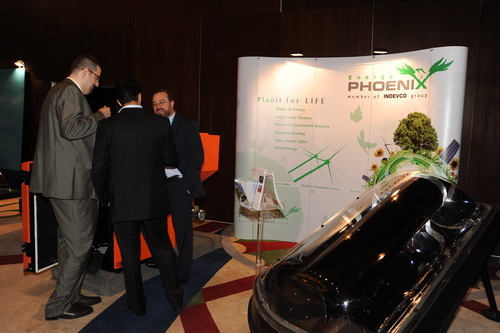 Phoenix Energy representatives met with booth visitors at Beirut Energy Forum 2012 on 13 and 14 September to discuss exhibited solar water heaters and biomass boilers. 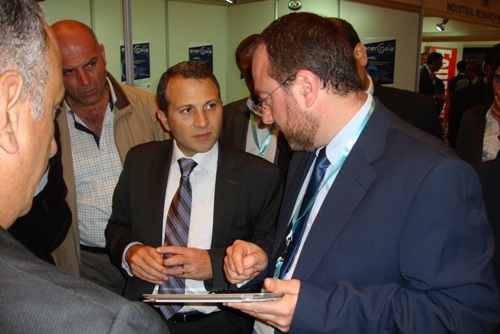 The event, held under the patronage of Minister of Energy and Water, Gebran Bassil, took place at Hilton Beirut Habtoor Grand Hotel. The Minister showed interest in Phoenix Energy and displayed products for eco-friendly water and domestic heating, as well as met with Phoenix Energy General Manager, Rabih Osta. Phoenix Energy supplies Solior solar water heaters that utilize mirrors to focus sunlight onto the collector wrapped with a 94% solar absorption layer, thus providing higher efficiency than conventional solar hot water systems. Phoenix Energy offers biomass boilers that use readily-available olive husks from local olive oil mills in Lebanon, rather than diesel, thus reducing dependency on fossil fuels. be installed for residential, commercial, industrial, and agricultural use. 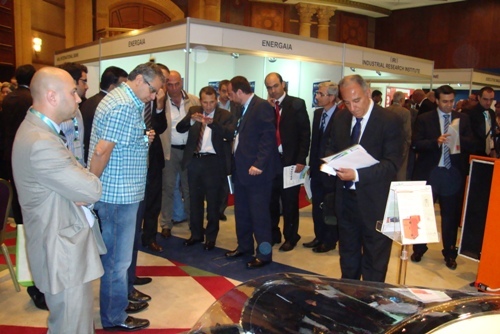 Visit Beirut Energy Forum2012 photo gallery to view more photos from the event.